If you're looking for a retro inspired dress, whether it be for prom, a wedding, or just to wear everyday, don't forget to check out some of the more traditional (old fashioned perhaps!) high street stores. I've found these great dresses from Laura Ashley, BHS and Monsoon. 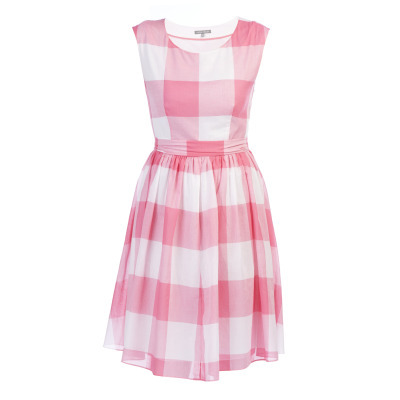 This retro gingham dress is available in pink and blue. This powder pink dress has a cute map print on it. I love the simplicity of this blue print dress. I think this one is my favourite, it seems a more correct length and I love the nod to a elegant vintage style. The pink flapper-inspired dress is certainly very glamorous! 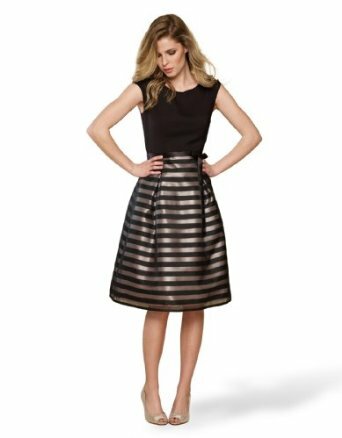 This stripey dress just needs red lipstick and its ready to party!